Manual Disclosure and Barring Service (DBS) checks can be a manual, costly and labour intensive exercise. 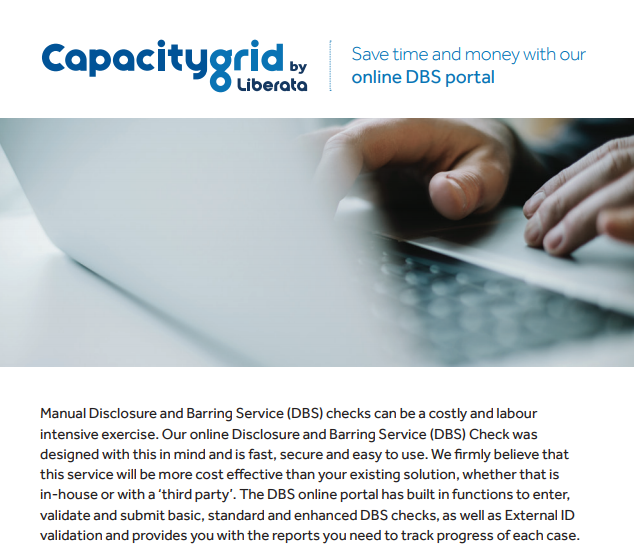 Our online DBS Checks were designed with this in mind and are fast, secure and easy to use. We firmly believe that this service will be more cost effective than your existing solution, whether that is in-house or with a ‘third party’ . We also offer the ability for organisations that use the portal to pay their invoices monthly by Direct Debit. This will reduce your administration costs through ensuring that payment of bills is managed automatically.